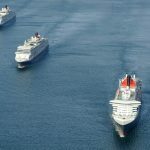 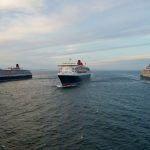 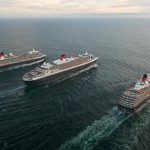 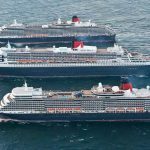 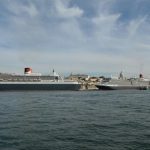 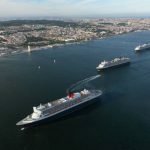 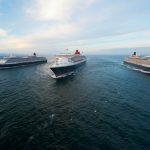 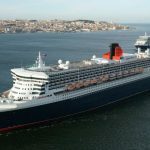 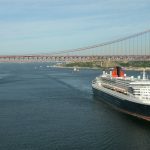 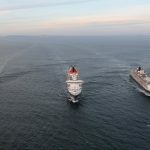 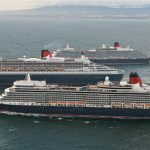 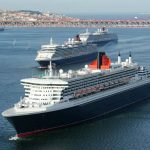 Cunard Line have released some breathtaking photos of all three Cunard cruise ships just off the coast of Lisbon, Portugal. 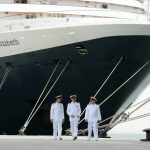 The photos are taken for the British cruise lines Queen Mary 2’s 10th Anniversary. 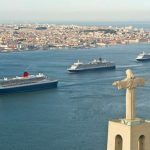 The ships set sail from Lisbon yesterday 6th May 2014 which took over an hour to do, they then sailed to a special location at sea to do an exclusive photo shoot by famed Australian photographer James Morgan. 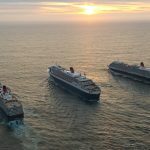 James Morgan took to the skies to take some amazing photos which had been planned for months. 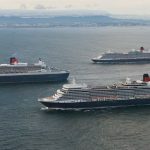 Lots of planning had been done to get the ships in the correct positions side by side. 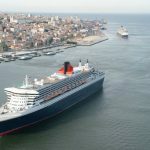 Not just the three Cunard Queens met but also the Captains, with photos all together while docked in Lisbon. 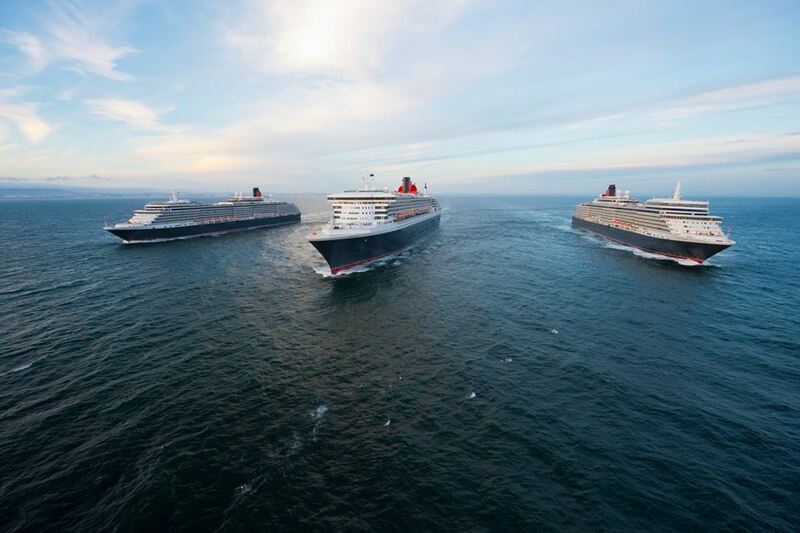 The ships are now heading to Southampton in the UK to mark Queen Mary 2’s Anniversary. 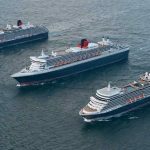 Let us know what you think of these amazing photos in the comments below. 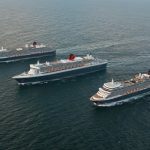 Cunard Line has detailed its Black Friday and Cyber Monday promotions which will be available on select sailings all over the world in 2019. 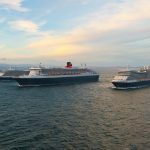 Three of the most iconic British cruise ships sailing for Cunard Line all met just days ago in Southampton, UK. 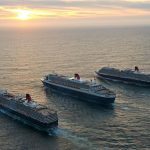 Cunard Line has released a new video that showcases what it's like to sail on a transatlantic voyage. 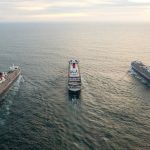 First-time cruisers and world club members share their thoughts on the experience.